How to get on Sobieszewska Island? 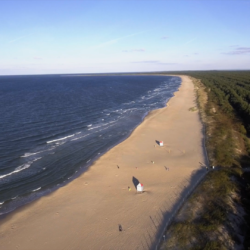 Sobieszewo Island is located around 18 km from Gdańsk Old Town and is a leisure destination for both the locals and the tourists. It is green, it is quiet, with sandy beaches and unique natural surroundings, it inspires to relax tourists of all ages. How to get there? To get to Sobieszewo Island take buses number 112 and 186 – both are the lines of public transportation, running every 20 minutes. The bus stop in the direction of Sobieszewo, Świbno, Przegalina and Górki Wschodnie is located in the city center, in front of the railway station Dworzec Główny PKP (Podwale Grodzkie St.) The return stop is located in front of the LOT Airlines building on Wały Jagiellońskie St. The stops are the same for the night buses number 470 and 490. It takes around 35 minutes to reach Sobieszewo Island. There are three options for travelling to Sobieszewo Island by car. The fastest route includes the bridge on Martwa Wisła (a new bridge is under construction), available all year round, 24 h a day. The other options include a road with a bridge on Przegalina floodgate and taking a ferry on Wisła Przekop. The journey starts with the railway station Dworzec Główny PKP in the city center. As we take a bike road, we turn right in the direction of Hucisko crossroad. Then we go straight to the city center, taking Ogarna Street and crossing Krowi Most, until reaching Elbląska Street. As the pedestrian road ends, we take the state road E-7. On the crossroads, we take Benzynowa Street (mind the street lights! ), then we turn right into Płońska Street, which is followed by Wałowa Street. We go ahead until we reach crossing of Wałowa and Sobieszewska (road no. 501). 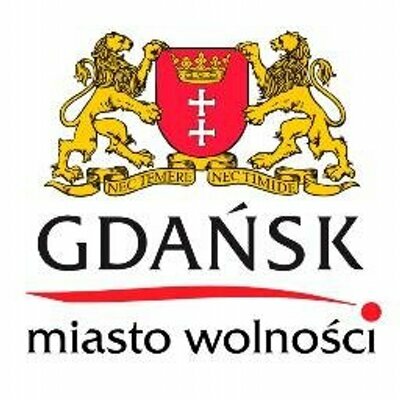 We then turn left, and within the distance of 50 meters we should see Gdańsk – Sobieszewo welcome sign.